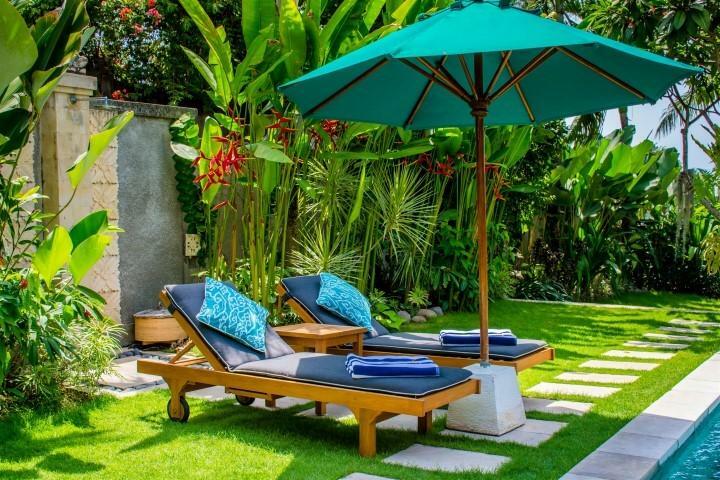 The villa is nestled on a quiet lane off Jalan Drupadi and close to Jalan Oberoi or ‘Eat Street’ where guests will find a wide range of cafes and restaurants including famous names such as Ku De Ta, La Lucciola and The Living Room. The area is also known for its boutiques, galleries and spas and the beach is nearby. Not far away is Jalan Dhyana Pura, which is rapidly gaining a reputation for its vibrant live music scene, high calibre restaurants and colorful shops. 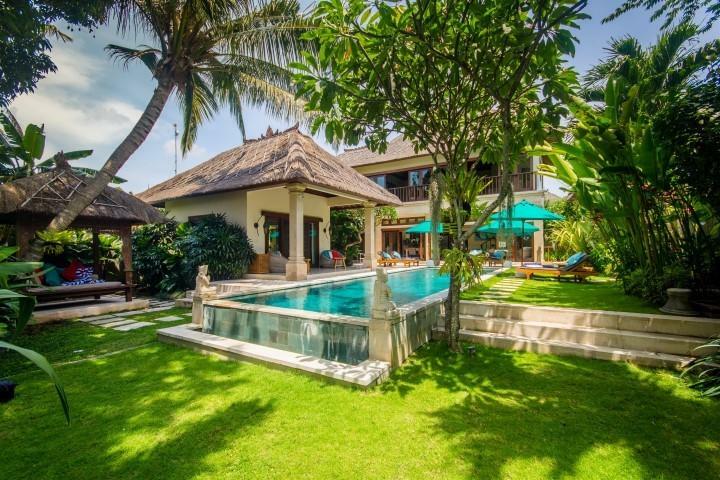 Villa 3590 has been designed to recreate the ambience of a traditional Balinese compound and is composed of separate buildings situated around a tropical garden. 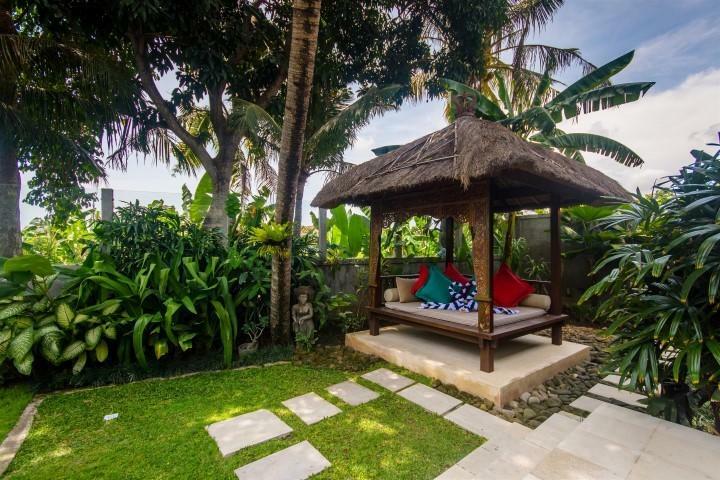 Once entering into Villa3590, the unique panoramic view of the stunning Balinese rice fields captures the true essence of Bali’s beauty and provides a truly relaxing atmosphere. Whether you’re traveling with family or friends, the villa offers the perfect introduction to a tropical lifestyle. 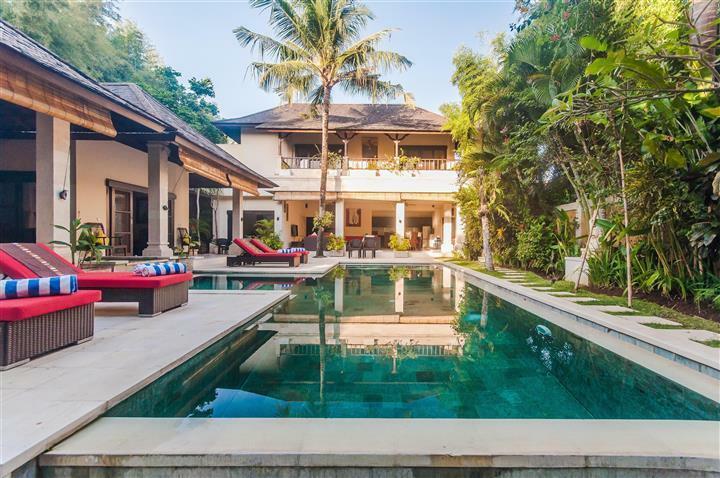 At the heart of Villa 3590 is a large and inviting infinity pool, which is surrounded by a tropical garden, rice terrace and mango trees. 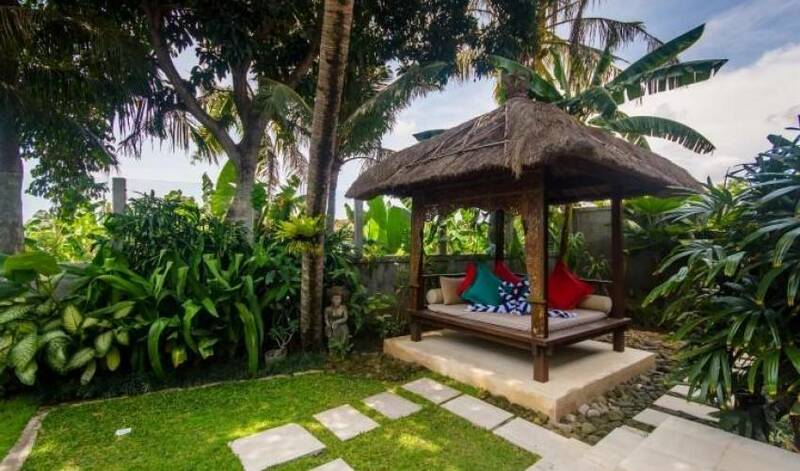 To one side, a gazebo with daybed is a tranquil place to lie and enjoy the serenity of Villa 3590, and outside canopy and lounge “chill” area in the other side. A unique outdoor lounge and entertainment area with a buffet bar allows guest to enjoy their cool beverages.